And a case in point is The TV Museum who, for the last few years, have been on a quest to capture as much continuity footage as possible. Not only does continuity provide a wonderful snapshot of visual presentation styles and approaches, but it's an important area to concentrate on as the vast majority of continuity was never routinely archived by the broadcasters - after all, there was very little commercial value in such footage. As they carry out such sterling work - and with a seriously high level of quality - I decided to catch up with their lead curator, Ed Stradling, to find out a bit more. You work with a number of different formats, so which pieces of equipment do you use and how did you get hold of these somewhat antiquated bits of kit? I work in TV, and have my own edit suite/machine room at home, as used to do a lot of my own editing (less so now). So I had two DV decks and a couple of SVHS before this started, plus maybe a UMatic. But that has certainly escalated in recent years. Including spares in the loft, I have probably 40 video recorders here in total, and can play Philips 1500 & 1700, VHS, Betamax, V2000, Super Beta, SVHS, 8mm, Hi8, DV & Digital 8. I think that is every domestic SD video cassette format except DVHS. I also have some of the professional formats (UMatic low & high band, Betacam SP, SX, Digibeta, DVCAM & DVCPro). Reel-to-reel is where I draw the line, I leave those to the proper enthusiasts. Also D1, D3 & D5 pro formats - I had a D3 machine but I gave it to Phil Morris recently because it was too big for my flat! You’ve managed to uncover footage which is well over 40 years old, but how do you go about sourcing recordings that are this old? 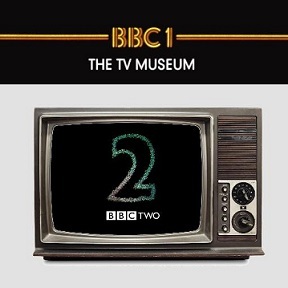 Some material came from the BBC archives, as some of their holdings exist in the form of broadcast quality off-air recordings with continuity (in full or in part) intact. These are almost always shows which went out live, such as Blue Peter and Swap Shop. 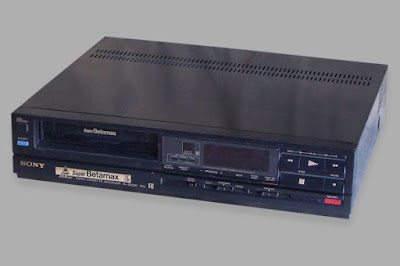 To go back 40 years with domestic recordings means Philips or UMatic really, as the first VHS & Betamax recorders didn't become available to the general public in the UK until 1978, although there may have been some recordings made as early as late 1977. Moreover, most early VHS/Betamax users only had a small library of tapes and they were often re-used. So domestic recordings from before 1979-80 on formats other than Philips and UMatic, are pretty rare. However, there are doubtless some collectors out there who have kept VHS/Beta recordings from those early days. A lot of it is just a question of dedication. A couple of years ago I had to take the decision whether to stick with the formats I was comfortable with, or go looking for earlier stuff. I'm the sort of person who's "in for a penny, in for a pound", so I decided to persevere with Philips recordings and I'm glad I did, even though they are a nightmare! The Philips machines require a huge amount of TLC. For the first year or two, I got very few successful replays. Around half of the tapes are sticky and need baking before they can be played. Even then, they often shed dirt all over the machines. Tapes sometimes snap, or become stuck in the cassette mechanism, and are then very difficult to fix. For 1500 recordings, there were compatibility problems, which meant recordings made on one machine, often wouldn't track properly on another. A random Philips 1500 recording is probably only 40% likely to give clean playback on a random player. There's a much higher chance with 1700 recordings but they can still be problematic. It's not like VHS where you just stick a tape in, and unless the tape is mouldy, you're away. Also the playback isn't terribly stable so you need a time base corrector. There are very few Philips machines around, they last probably an average of 50 tape replays before going wrong (and that's when you know what you're doing - if not it's more like 10 replays, as I discovered to my cost in the first year or so). And there are very few people left who can repair them. UMatic has problems with sticky & shedding tapes too, but the mechanics with UMatic are much easier and the playback is much more stable. The downside is that they weren't intended as domestic recorders, so didn't have TV tuners. There were ways around that, so there are some off-air UMatic recordings out there, but if you're looking for continuity, Philips is a much better bet as the Umatic machines didn't have timers, so people generally recorded "on the fly" and with tape being very expensive, few people deliberately kept continuities. A lot of the Philips and some of the UMatic recordings come from Ian Levine, an old friend of mine whose name is probably known to most of your readers, but also I've found UMatic & Philips recordings from several other people. What has been the most exciting piece of footage for you to find on a personal level and then on a cultural level? Good question. On a cultural level, probably a BBC1 newsflash announcing Lord Mountbatten's assassination in 1979. I don't know for sure that this is missing from the BBC archives, but it probably is. Such newsflashes were rarely kept in those days. On a personal level, the more exciting stuff is anything which I play and think to myself "this is almost certainly the only copy". Doesn't really matter if it's a whole show or just a continuity item. The Blake's 7 transmission fault (found recently) was fun, although there's probably someone else who recorded Blake's 7 on Philips or UMatic to keep, so it probably wasn't the only copy. Whereas the Mountbatten Newsflash probably is, unless the BBC has it. I've found one missing Swap Shop, a few Points of Views, a Clapperboard. That kind of thing. And I still have a few hundred Philips tapes to go through. Obviously finding missing programmes is more likely with 70s and early 80s material. But actually, for continuity stuff, rare material can come from as late as the early 2000s. The BBC didn't record their full output in broadcast quality on daily basis until the mid 2000s. Domestic DVD recording didn't start until around 2002/03, so very high quality off-air recordings from 1997-2002 are very rare, because only people with DV or mini-DV cassette recorders will have made them. And even when DVD recording was available, HDD time-shifting made it easy for people to cut out the ads and continuity, so most people did. I think I have more continuity items from 1977 than I do from 2003, although admittedly that's because I don't bother with VHS recordings from as late as 2003. As an aside, as I type this, I'm going through some late 1990s SVHS tapes and I just saw a trailer for Robot Wars. I'm not a fan, but my first thought was surprise that Robot Wars was that old. These days it's very easy to google the relevant info, and it turns out it's a trailer for the very first episode in early 98. Maybe it'll end up on a Robot Wars DVD! Which is your favourite recording format and why? High quality recording was always important to me, even back in the 1990s. The first thing I bought when I got a decent job was an SVHS recorder in 1993! So my favourite format is DV, as it was the first domestic recording format which was more or less broadcast quality. Although, unfortunately, the Sony DHR-1000, which was the first and best DV recorder, and became available in mid 1997, made recordings which were slightly softened from the originals. They still look way better than any other domestic recording format, but they're just a bit soft. The Panasonic equivalent machine, which didn't become available until a year or so later, made pin-sharp off-air recordings. I bought the Panasonic originally, but switched to the Sony as it much better editing facilities and general reliability, which at the time, was priority for me. So I only have a few Panasonic recordings. But they look like the master tapes. What are the most frustrating elements you run into whilst searching for recordings and the preservation process? Easily the most annoying thing is timer recordings which stop just before, or in the middle of, a really interesting continuity item, when there's plenty of tape space left and you're screaming "why couldn't you just keep recording!?" Everything has an expected lifespan and magnetic tape can’t last forever, so do you feel as though it’s a real race against time or is there still plenty of time to track down every last piece of presentation? That's only true with obsolete formats, most notably Philips 1500/1700. As I said, the tapes are vulnerable, there are relatively few machines and parts left, so we may be at the eleventh hour really as regards transferring that material. That may be true to a lesser extent of Betamax and V2000, but the difference is that VHS/V2000/Beta tapes have lasted very well. As long as they have been well stored, the tapes play as well as they did when they were recorded. Better on VHS, in fact, as of course the electronics in players improved as time went on - as long as you have high-end players. Some of the cheaper VHS machines, even in the later years, were atrocious. And, in case any readers are sitting on a goldmine of material, is there anything in particular that you’re desperate to get your hands on? There are loads of individual bits & bobs we'd like, regardless of format, but it would take too long to list them all! Certainly we'd love to hear from anyone who recorded VHS & Beta between 1978-80 and kept the tapes. We'll happily take on the transfer of anyone's Philips 1500 material - although it can take a while. Philips 1700 too, if the recordings are from 1977-81. But we're more equivocal on 1700 collections, as they are almost as much hassle as 1500 recordings, and a lot of the material tends to be from well into the 80s. 70s stuff is worth the hassle, but 80s stuff not so much, when it's the same kind of thing we already have access to on thousands of hassle-free VHS tapes. VHS/Beta/V2000 collections from the mid 80s are of interest, but they are low priority unless they contain non-London ITV material, as I have access to hundreds of pristine VHS recordings from that period, most of which tapes were used just once, and which give perfect playback on high-end 1990s and early 2000s VHS machines. As opposed to random Beta/V2000 tapes which were used over and over again, and of course there were no Beta/V2000 machines made after 1990 in the UK. ITV timer recordings from non-London regions are always welcome, as the vast majority of our collections come from London or the TVS regions. To be honest the only tape donations I personally refuse, are general VHS recordings from 1998 onwards. Once TV was being broadcast in anamorphic widescreen and high quality recording was possible, I'm afraid I can't get excited about 4:3 VHS recordings cropped to 14:9. I think the only thing I've digitized from VHS recently for that period, is the Sydney 2000 Olympics ident, as I didn't have it in a better format.